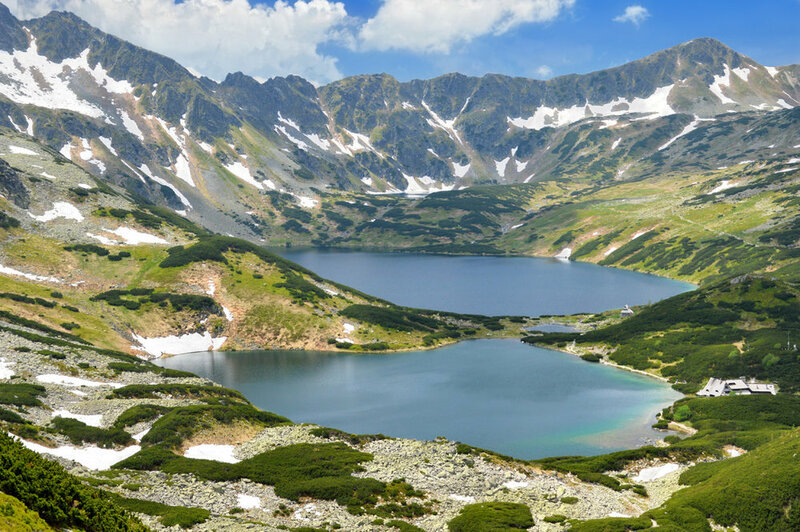 Hiking in Polish Tatras is getting more and more popular. During the summer, hundreds of tourists flock to the town of Zakopane in order to spend some time admiring the spectacular peaks and turquoise mountainous lakes. In this article, I have prepared a 4-day itinerary (or shorter - depending how fit you are and how much time you have) which will allow you to see the best of the Tatra Mountains: the three most picturesque valleys with lakes and Poland's highest peak - Rysy. If you're planning on hiking in Zakopane for a few days - follow this route and you'll get the best of it! This itinerary is perfect for 4 days (3 nights). Some days require more hiking, others are more relaxing and will let you walk around the beautiful, crystal clear lakes so you can enjoy them more. Note that it is possible to squeeze this itinerary into 3 days and 2 nights (or even 2 days and 1 night), however - it would be very tiring. I would recommend you do the trail in 4 days. The starting point of this route is located in Kuznica cable car station and finishes in Palenica Car Park. Note that some people might want to do this trail the other way around with the tarting point in Palenica. I would not recommend that - you would have to climb down (instead of up) the most difficult parts (those where you have to use chains near Zawrat) and it may be extremely hard - it's way easier to go up there. Therefore, stick to the direction described here. Also, make sure that you book your accommodation in the mountain shelters way in advance as it can get busy during the summer season. On the first day, take a bus from the town of Zakopane (if you want to know what to see in the town itself - take a look at my post) to Kuznica (number 1 on the map) - this is the starting point of the blue trail to Murowaniec hostel (number 2 on the map) and Dolina Gasienicowa. The bus ride shouldn't take more than 30-40 minutes. The blue trail from Kuznica (lower cable car station) all the way to Murowaniec takes around 2 hours. Take a stroll around Dolina Gasienicowa (see the main lake - Czarny Staw Gasienicowy). It can take around another 2 hours to see all the lakes around. This day is quite easy - you will have lots of time and you can relax quite well. Dolina Gasienicowa is my favorite in the Polish Tatras. Optional activities: If you want to stay active - from Murowaniec, you can hike up to Kasprowy Wierch and the Swinica Peak. If you have little time and want to cut one day - you can do it here. Instead of staying in Murowaniec, follow the instructions in Day 2 below (note that this will be extremely exhausting - full day hike). For a day hike from Zakopane, more information and photos of Dolina Gosienicowa, take a look at my detailed article. This day will be the hardest as the trails will lead through an extremely difficult and steep path to Zawrat secured with chains. Only for the fit and a bit experienced in hiking. 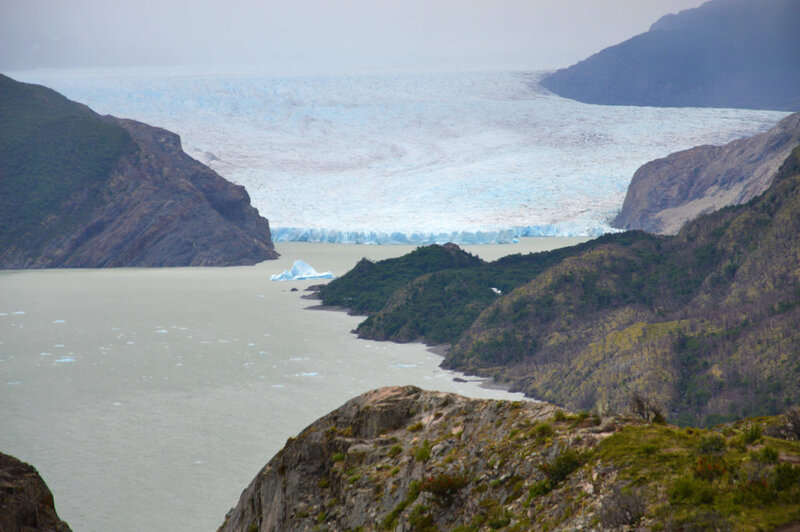 However, this part provides spectacular views and offers some great thrill! I would recommend it! 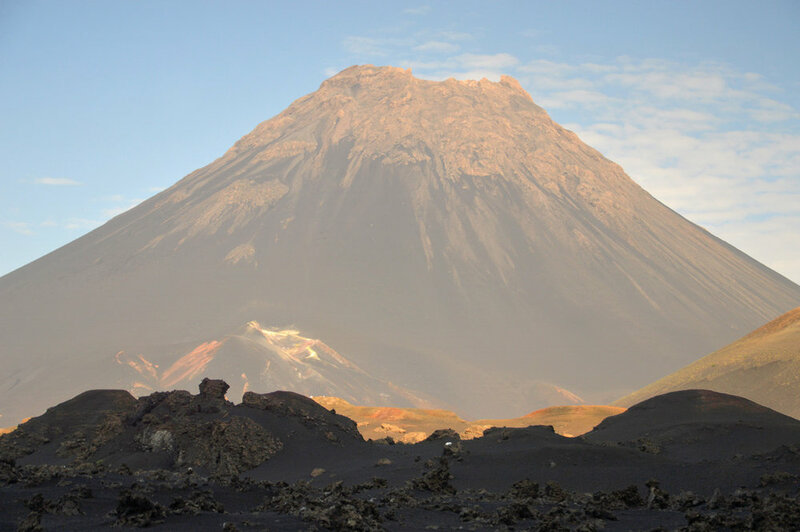 It takes up to 3 hours to hike the blue trail from Murowaniec to Zawrat. You will pass the beautiful, crystal clear Czarny Staw Gasienicowy on the way. If you wish to walk around and skip the hardest part of the trail through Zawrat - take the yellow trail to Dolina Pieciu Stawow from Murowaniec (marked as easier route on the map). If you want to do it the easy way - don't take other trails (marked in the brown brackets) as they are even more difficult than the trail through Zawrat. I've described the trail from Murowaniec to Zawrat in detail in the post about Dolina Gasienicowa. From Zawrat, continue the blue trail towards Dolina Pieciu Stawow (number 3 on the map). It's a beautiful and easy trail (around 2 hours and 30 minutes) - on the way, you can admire the lakes in Dolina Pieciu Stawow. If you want more thrill, you can opt for the red trail via Kozi Wierch (in the brown brackets) - these trails are considered the hardest in Polish Tatras - lots of exposure, ladders and chains. Overnight in Dolina Pieciu Stawow mountain hostel. If you want to visit Dolina Pieciu Stawow from Zakopane as a day trip - take a look at my post here. This is a very pleasant and not very long trail - it is going to be a relaxing day. You have two options - an easy blue trail (around 2 hours) or the more difficult, yellow trail (around 4 hours), marked as an alternative route Morskie Oko - Dolina Pieciu Stawow. Morskie Oko is the most popular lake in the Polish Tatras - and you will surely notice it. I prefer all the other lakes as the ambiance here resembles more of a shopping mall rather mountainous trip. Walk around the whole Morskie Oko - a beautiful trail and less crowds than in front of the lake. Stay overnight in Morskie Oko hostel (number 4 on the map). If you don't have much time, you can skip the overnight stay and head straight to Rysy from Dolina Pieciu Stawow - the highest peak in Poland. If you do so, choose the easier, blue trail from Dolina Pieciu Stawow as it would be a very exhausting day. 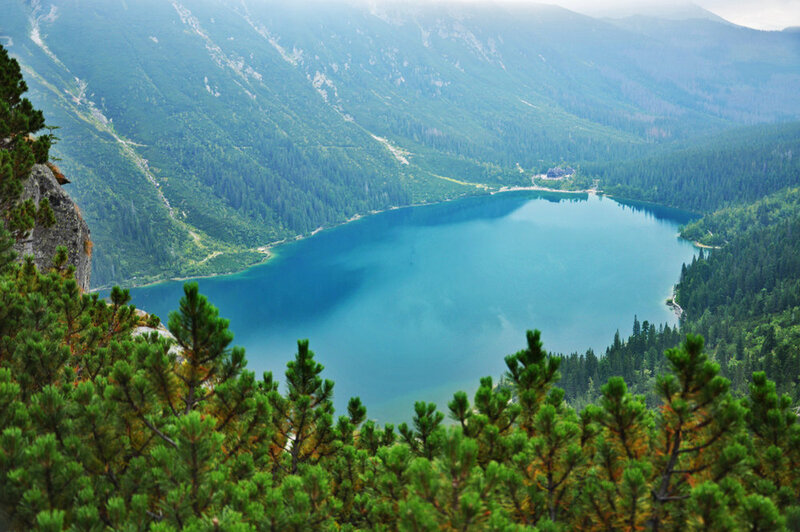 For more information about a day trip to Morskie Oko from Zakopane, take a look at my post here. This is going to be a long day. Start early. On the last day, follow the red trail along Morskie Oko lake towards Czarny Staw lake (not to be confused with Czarny Staw Gasienicowy in Dolina Gasienicowa). It takes around 45 minutes - Czarny Staw is exceptionally clear and beautiful. From Czarny Staw, continue the trail - it will get steeper and steeper until you reach the very peak of Rysy. This part can take up to 4 hours, depending on the traffic. Spectacular views guaranteed. Now, you must go back down from Rysy to Morskie Oko and from there follow the paved road (red trail) to Palenica car park. From there, take a bus back to Zakopane. You can have a look at my post to see the detailed info about this trail - also, if you want to do it as a day trip from Zakopane.